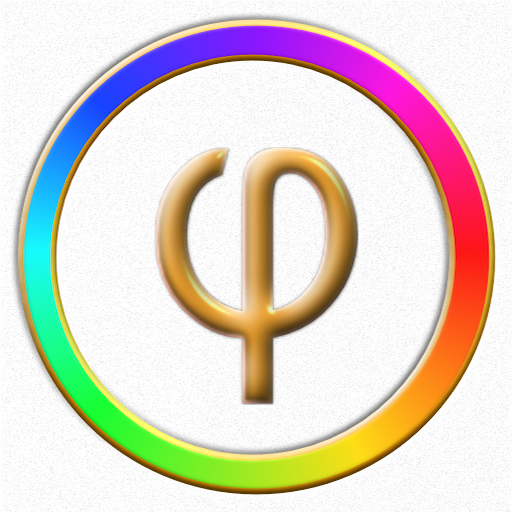 Phi Colors is in the app store. 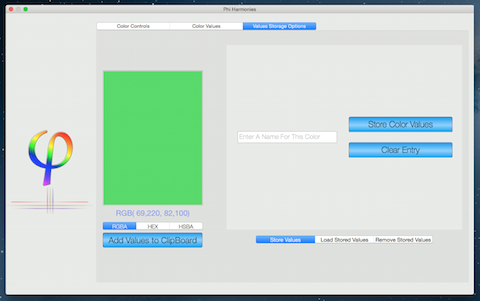 Three apps each designed to work similarly, fully utilizing the screen of the iPhone, iPad, or your Mac. 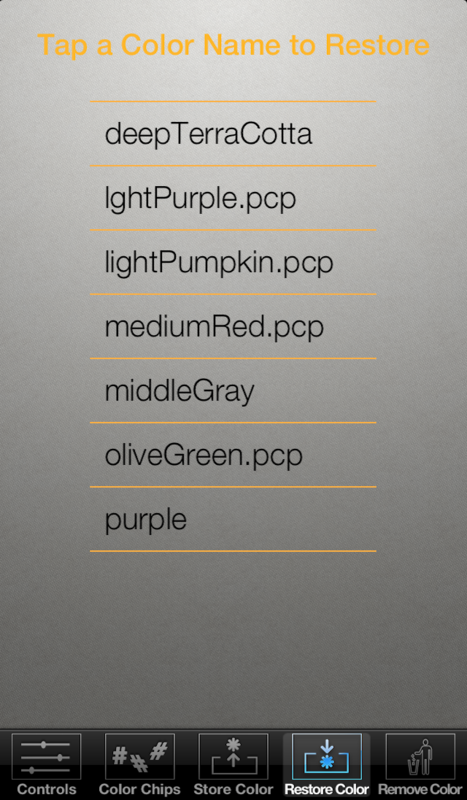 This software, based on the golden mean(phi), derives color harmonies. This set of color chips of "5 go-with" colors, as well as, complementary and "strong contrasting colors", are identified by standard RGBA, HEX, or HSBA values. These are easily saved to the device clipboard for pasting into a text or email. 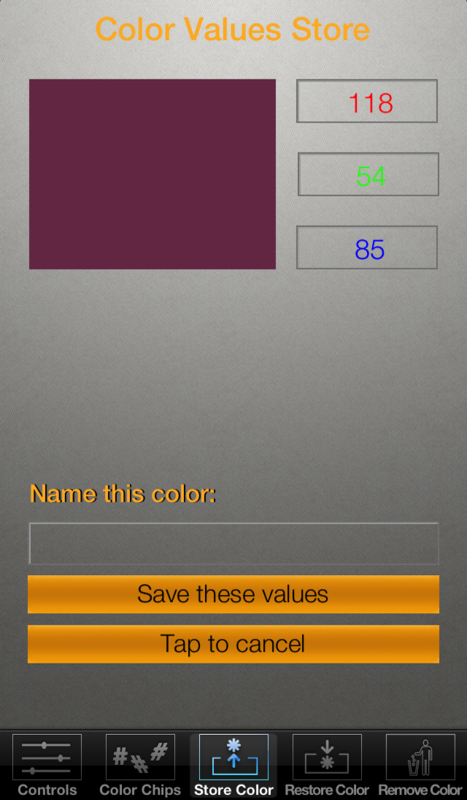 You select the amounts of red, green, blue, and alpha with easy to use "Color Sliders"; the app does the rest. Large adjustments use a slider and are refined using stepper controls. 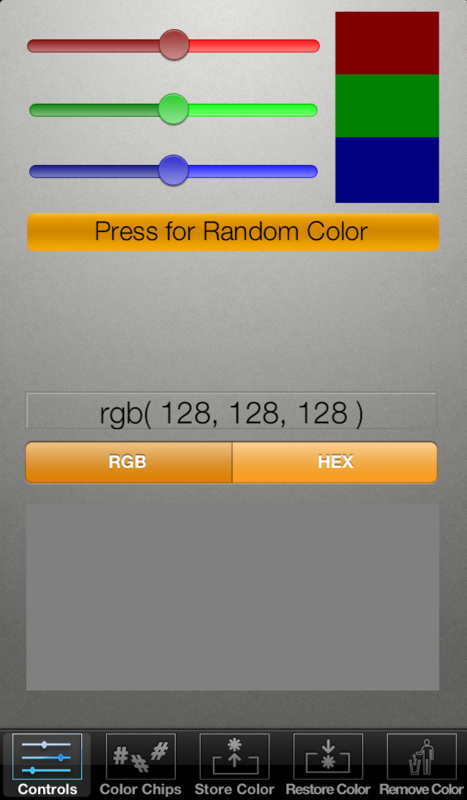 You may generate random colors at the touch of a button. 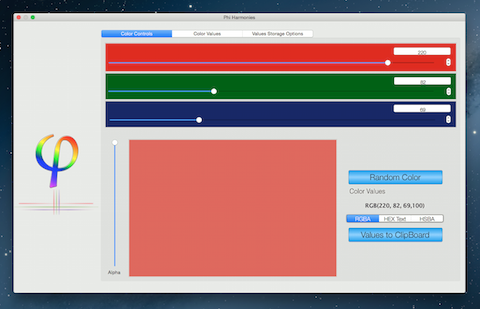 A separate screen displays code ready color values, in RGBA, HEX, or HSBA format. 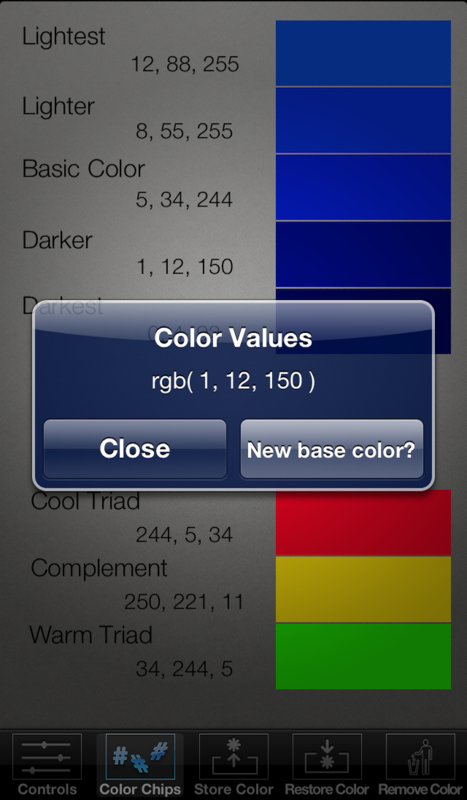 Any of the harmony chips may replace the base color, recalculating color values. 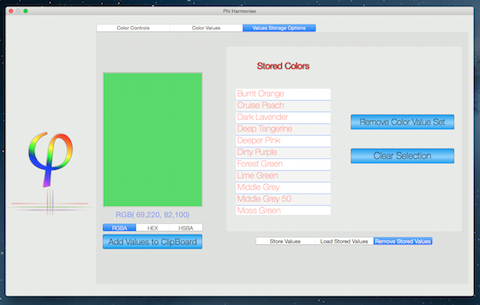 Color data may be saved to disk for later recall, or discarded. Generally any one who uses color in their work or hobby will find this useful. Think painting, decorating and web design to name a few. 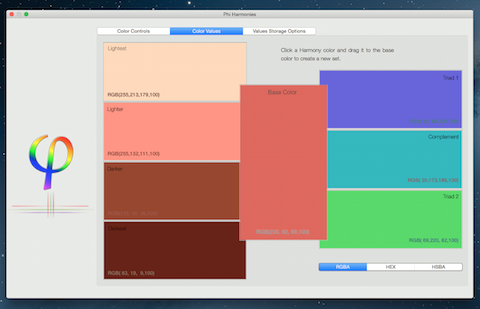 This is a portable, adjustable color palette. An Apple Watch extension is under development. Wish List and Gift Register, developed to maintain your privacy. Don't share with the world, just your family and friends. Inexpensive onlne lists. A place to buy, trade or sell your carefully crafted learning plans. Additional information about these items send email to: info. Questions about using our software send email to: support.